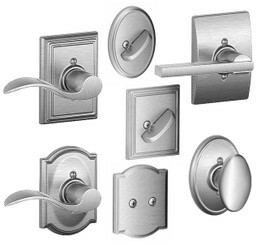 966 / 967 / 968 (Use 980 / 985 Series Deadbolt Components) These interior Trim Packs are designed to be used with the following Kwikset Handlesets: Amherst, Arlington, Ashfield, Austin, Avalon, Chelsea, Hawthorne, Shelburne, Tavaris, and Wellington. 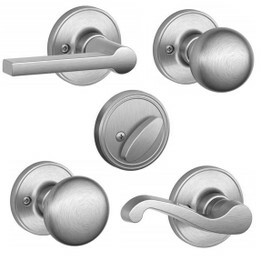 974 / 976 / 977 (Use 993 / 994 Series Deadbolt Components) These interior Trim Packs are designed to be used with the following Kwikset Handlesets: Amherst, Arlington, Ashfield, Avalon, Chelsea, Hawthorne, Shelburne, Tavaris, and Wellington. 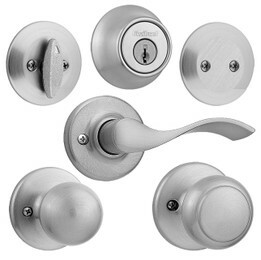 978 / 979 (Use 780 / 785 Series Deadbolt Components) These interior Trim Packs are designed to be used with the following Kwikset Handleset: Montara. 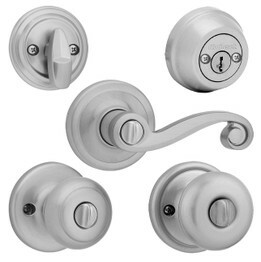 971 / 973 (Use 258 Series Deadbolt Components) These interior Trim Packs are designed to be used with the following Kwikset Handlesets: Camino and San Clemente. 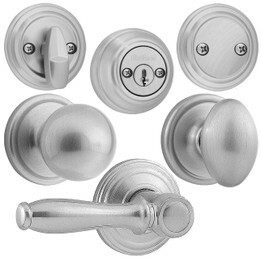 604 / 605 / 606 (Use 660 / 665 Series Deadbolt Components) These interior Trim Packs are designed to be used with the following Kwikset Handlesets: Dakota and Belleview. 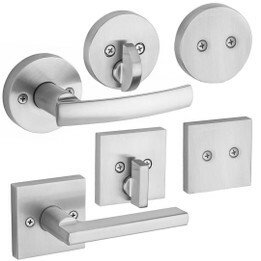 F59 / F94 (Use B60 Series Deadbolt Components) These interior Trim Packs are designed to be used with the following Schlage Handlesets: Addison, Greenwich, Camelot, Century, Parthenon, Plymouth, and Wakefield. 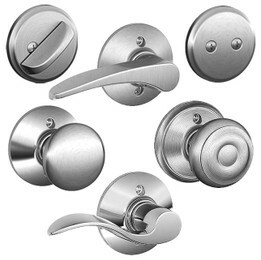 JH59 (Use JD60 Series Deadbolt Components) These interior Trim Packs are designed to be used with the following Schlage Handlesets: Barcelona, and Paris. 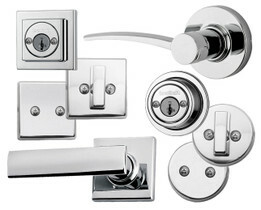 Click on category below to view all styles, finishes and functions available.